Welcome to the State of Research podcast brought to you by The Office of the Vice President for Research. Narrated and produced by Mason Force, OVPR’s podcast coordinator. 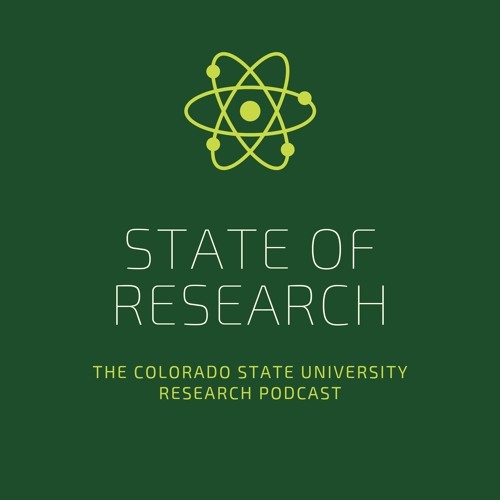 OVPR’s State of Research Podcast was created to showcase Colorado State University as one of the premier research institutions amongst American Universities. The Office of the Vice President for Research has the responsibility of overseeing the research enterprise of all eight colleges at Colorado State University. Our office works to encourage and support the development, marketing and application of CSU’s intellectual property and our world-renowned researchers, students, and facilities. With this podcast, we hope to demonstrate how research is a journey filled with unique stories, individualized inspirations and perseverance to solve global challenges. In our broadcast, we hope to create purposeful stories about innovation, inspiration, research, and the determination needed to propel our state of being toward the future.